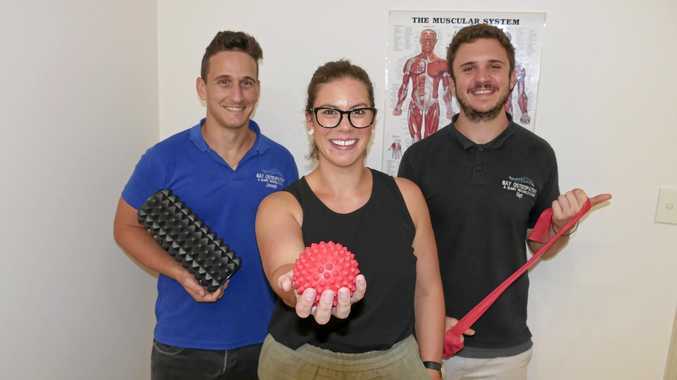 BUCKING the trend of recent headlines reporting Hervey Bay businesses closing their doors, Bay Osteopathy and Injury Rehabilitation is not only thriving but expanding. The brainchild of co-owners Nat Sloane and Joseph Henry who moved from Sydney to fill a gap in the market, the practice has gone from strength to strength. A new face in the form of osteopath Jess Garner joins the team to complement a new office which opened four months ago at Fraser Shores Shopping Centre on Boat Harbour Dr.
As the health clinic celebrated a year servicing the Fraser Coast community, Mr Sloane said the team of three treated about 80 patients a week. "When we first started this time last year we were seeing about seven people and were very happy with that, whereas now we have come leaps and bounds,” Mr Sloan said. 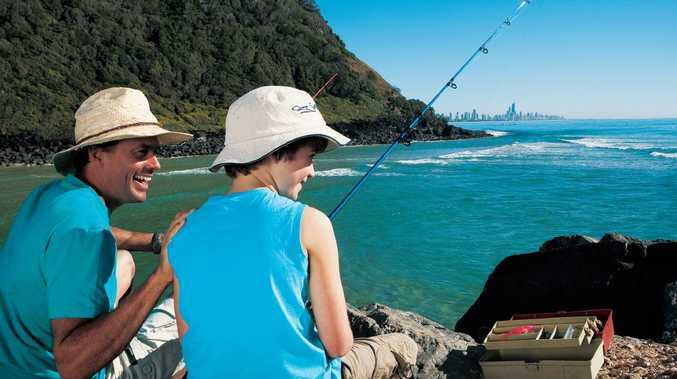 "We help people with their muscular skeletal injuries or issues. Mr Henry explained in the future BOIR would look at employing a physiotherapist or massage therapist. "We have been taking pride in networking within our local community and we are focusing on creating stronger networks,” he said. "We have a very results-based approach and if one approach isn't working for them we refer them to someone who can help. Recent graduate Ms Garner said she fell in love with the area while completing placement for her five years of study with BOIR. "Just because you are in pain now, have been for a few years or you've seen other health professionals before and you haven't gotten anywhere - it doesn't mean you have to stay that way. Come in and see us,” she said. For more information on BOIR call 4124 1711 or visit their website.